PennsylvAsia: CMU Japanese Student Association presents Mochi Making Competition, October 4. 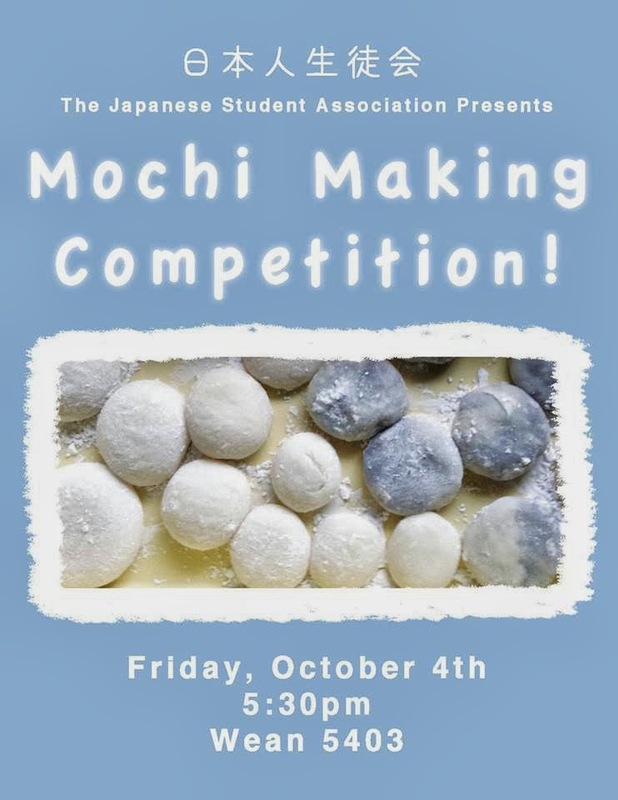 CMU Japanese Student Association presents Mochi Making Competition, October 4. The Carnegie Mellon University Japanese Student Association will hold a Mochi Making Competition at 5403 Wean Hall (campus map) on Friday, October 4. Pitt Players present[ed] The Yellow Jacket. Jackie Chan movie CZ12 (十二生肖) at the Waterfront. Squirrel Hill Magazine profiles Chaya. Clara C at Pitt, October 15. Stream the Pirates on Japanese TV. 2013 Carnegie International opens October 4.